This blog post comes to you from Leeds where we’re in the midst of some wonderful team days. Today we had Gary Aston teaching us on the doctrine of revelation. Brilliant. 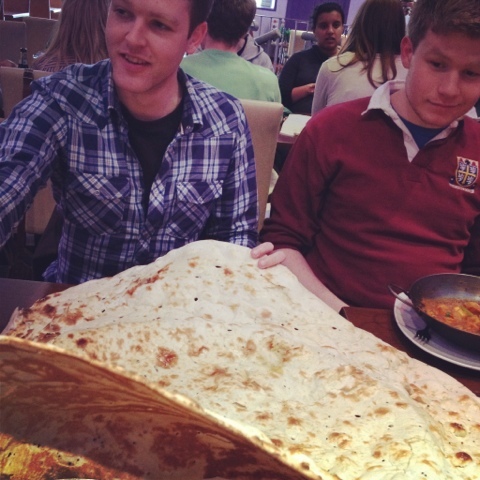 And this evening we visited another fine city from our region, Bradford, and enjoyed a delicious curry, complete with the biggest naan bread I’ve ever seen. I’m not sure if the picture really does the actual size justice, but Mike’s expression is pretty amusing, so it makes the blog post anyway.